Abstract: The poisoned body is shrouded in mysteries which plunge the historian, investigator, doctor, and even sometimes the victim and his or her loved ones into doubt, suspicion, and fear. A discreet weapon, poison attacks the body in private and public but cannot always be identified. 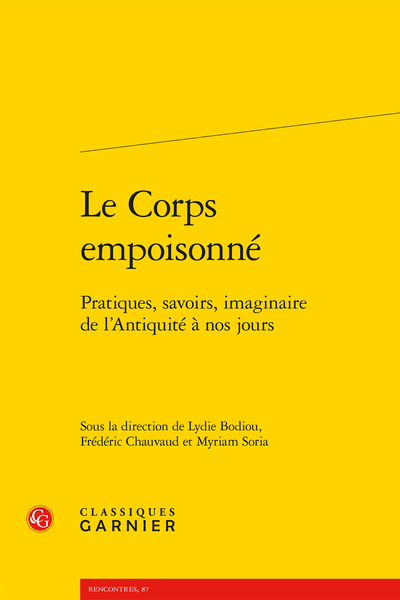 Corps empoisonnés ou empoisonnement corporel ?